L Moore Heating & Plumbing covers all aspects of repair, replacement and servicing of boilers and central heating systems at competitive rates. With over 20 years’ experience to bring to every contract undertaken, completing all work to the highest of standards. 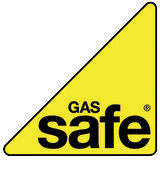 We take on all gas work being Gas Safe Registered (no.207473). Get in touch with the plumbers at L Moore Central Heating & Plumbing for plumbing and services, heating and boiler installations. We provide services across Wickford, Billericay, Chelmsford, Basildon and Southend. We have built a successful business over the years through our quality of workmanship with most of our work coming from referrals and recommendations. We take on all jobs from simple tap and radiator valve replacement to hot water under floor heating and boiler installations. L Moore Heating & Plumbing can provide you with competitively priced central heating and plumbing services. We are experts in all aspects of central heating systems. Central heating maintenance. Do you need specialist central heating services? L Moore Central Heating & Plumbing in Wickford provides gas safety services, gas servicing, hot water plumbing, power flushing, heating repairs and central heating installation services. You can rely on our expert plumbers to provide a quality service.